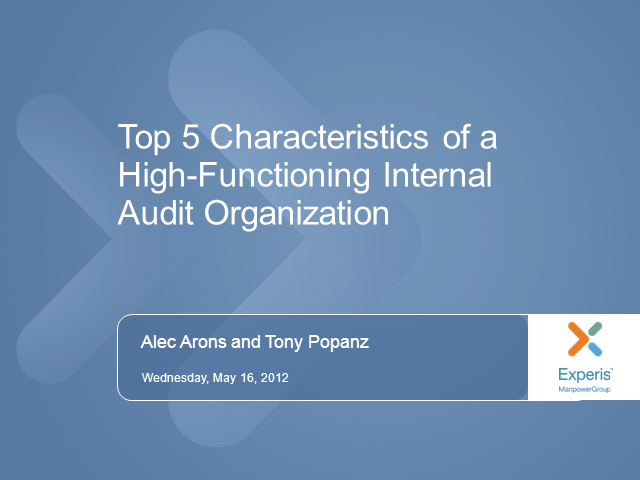 In 2012 stakeholder expectations relating to the role and performance of internal audit functions will continue to grow. In addition to their core activities, internal auditors are being asked to take on greater roles in understanding and assessing business, technology, financial and operational risks, and developing and retaining organizational talent. Unfortunately, while strategic expectations continue to grow, many internal audit organizations are being asked to do even more with less or at the same resource levels as previous years. To meet these demands and challenges, audit leaders are seeking innovative strategies and approaches to enhance the performance and value of internal audit.